This combined teacher and student book includes insights and suggestions to help you more effectively teach science from a Christian perspective. 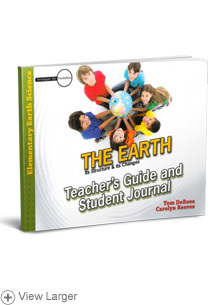 In this combined book, you will find just what you need to instruct and explore the planet along with the main text, all through carefully guided hands-on projects, observations, reflections, and even digging a bit deeper. This text helps make Earth science a delightful and engaging subject for elementary-age students!